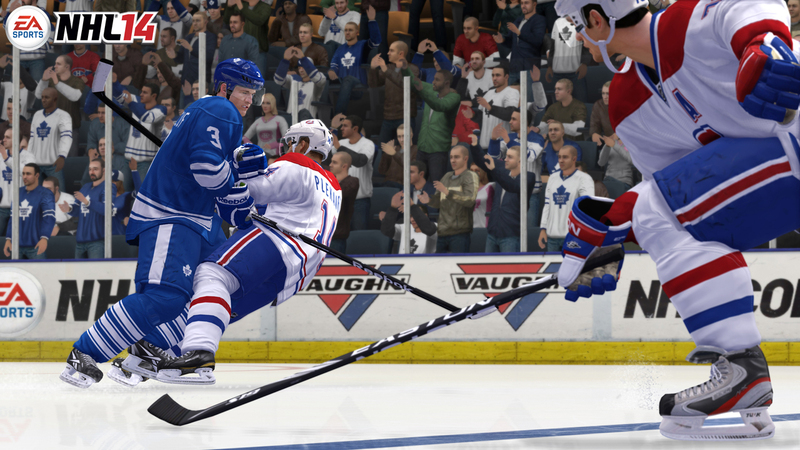 Even if GM Connected and EA Sports Hockey League (EASHL) weren’t rumoured to be absent from NHL 15, I’d still be concerned. EA announced the next instalment to one of their annual sport-sim franchises on Friday, NHL 14, and the iterations that it’s expected to include are a big deal. Along with a new screenshot (that looks exactly like every other NHL screenshot released in the last 16 months), EA also recounted the “innovation” they’ve infused into hockey games throughout the years. Then, on Monday they revealed some of the new features we can expect to see on September 10, when NHL 14 is expected to hit North American stores. As a gigantic hockey fan, and as a gamer who has put over 4,000 cumulative hours into the popular line of hockey games throughout my life, every minute change that’s made to the core gameplay experience usually means that I’ll have to make some alterations to the way I compete on the digital ice.